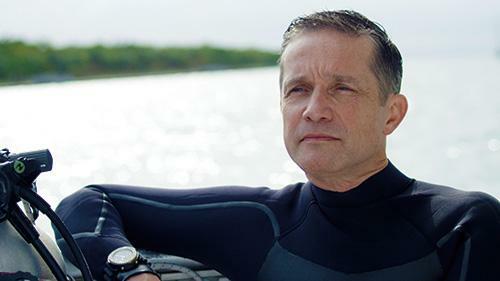 Fabien Cousteau, dedicated to promoting the health of the world’s oceans. We are looking forward to working with Fabien through both traditional and on-line media initiatives focused on the Prospex diver’s watch collection. 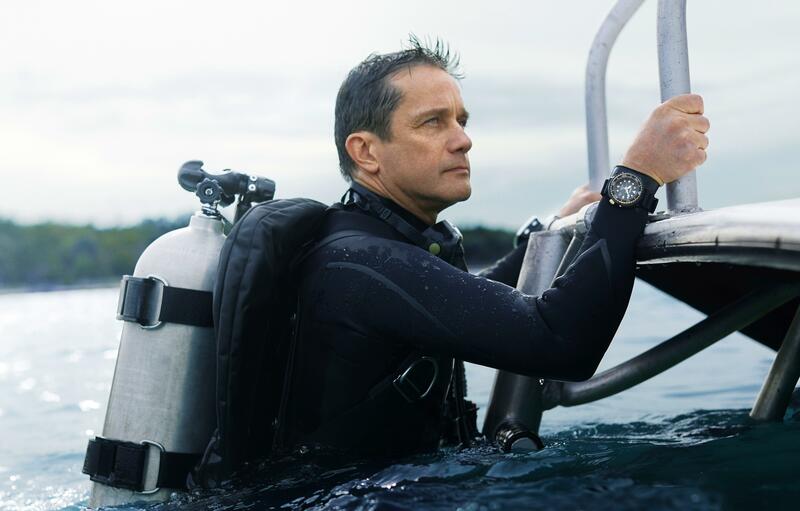 Furthermore, Seiko will contribute to the work of the Fabien Cousteau Ocean Learning Center, an institution that Fabien created to make a direct and positive contribution to the health of the oceans. Central to this shared initiative is a new, dedicated Seiko Prospex Instagram account which will feature Fabien’s activities, adventures and discoveries. We will also invite divers, environmentalists and marine specialists from all over the world to contribute their stories, experiences and ideas for the future. Our aim is that this becomes a valued resource for lovers of the oceans worldwide. In all he does, Fabien seeks to expand the world’s knowledge of the importance of the health of the seas. With past projects like ‘Mission 31’ (see below), Fabien challenges us all to look afresh at the marine world and Seiko is proud to be part of Fabien’s adventures today and in the future. Seiko Prospex and Fabien Cousteau. A partnership of exciting potential. 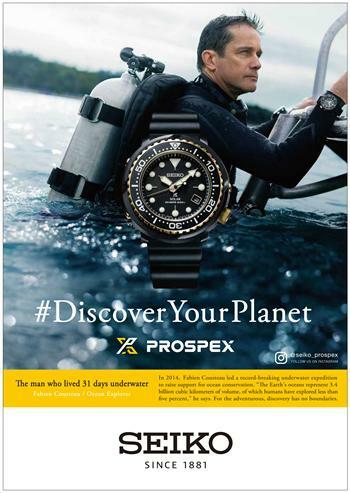 The international media campaign featuring the Prospex diver’s watch collection. Shown here is the Solar Diver's 200 meter, SNE498, which will be available in July. As the first grandson of Jacques-Yves Cousteau, Fabien spent his early years aboard his famous grandfather’s ships. He learned how to scuba dive on his fourth birthday and inherited his family’s passion for the oceans. Fabien has a distinguished record as a writer, speaker and broadcaster about the oceans and the need for their protection from degradation. Fabien is perhaps best known for his study of sharks. From 2000 to 2002, Fabien was an Explorer-at-Large for National Geographic and collaborated on a TV special aimed at changing public conceptions about sharks called, “Attack of the Mystery Shark,”. In 2003-2006, he produced a documentary, “Mind of a Demon,” about sharks that aired on CBS in the USA. For the next four years (2006-2010), Fabien contributed to a multi-hour series for PBS called “Ocean Adventures” with his father, Jean-Michel Cousteau. In June 2014, Fabien and his team embarked on Mission 31, the longest ever scientific expedition in Aquarius, the world’s only underwater marine laboratory, located off the coast of Florida. Today, Fabien works with many marine charities, focusing especially on working with local communities and children worldwide to help restore local water ecosystems. In 2016, he founded the Fabien Cousteau Ocean Learning Center to make a direct and positive contribution to the health of the oceans.